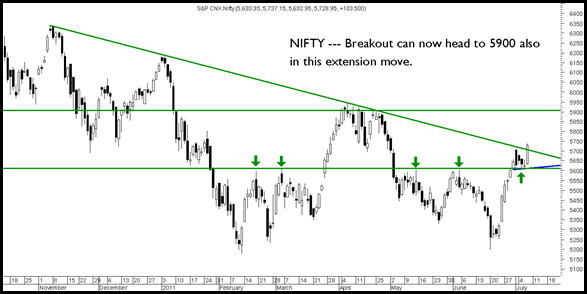 As seen in the charts above both the indices have broken out above the trendline which has been a major resistance over the last so many attempts. 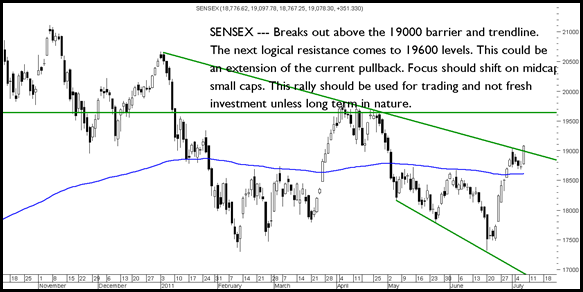 In the near term the current move can see an extension to higher levels of 19600/5900. Upside to those levels will take the market to overbought zones. The current move should be utilized for trading opportunities on broader markets and one should be selective in stock picking. 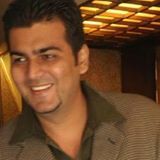 At the same time avoid fresh investment buying unless it is of long term nature and buying partial quantities. Investors may look to interest cash if they bought on dips. 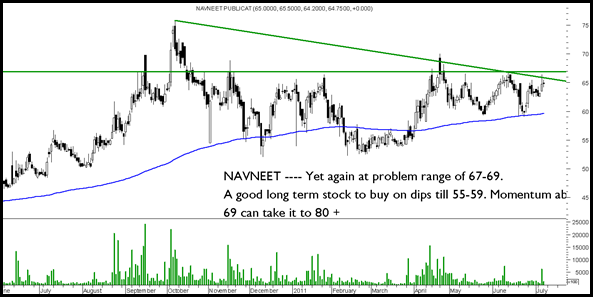 Have been mentioning it as an investment pick from 670-710 levels with an initial target of 800 which was done.Now fresh entry with a target price of 900-950. 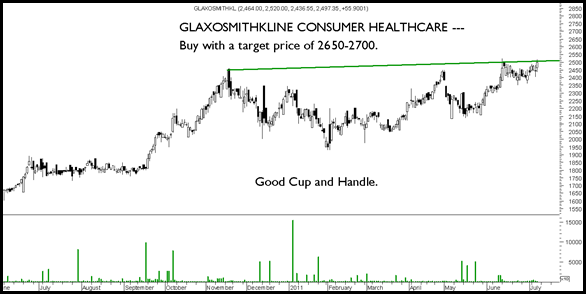 The stock looks headed to 2650-2700 + slowly and steadily to higher levels. 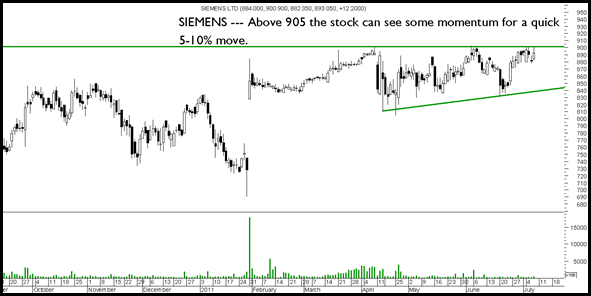 Siemens --- The stock has done nothing post the buyback offer. 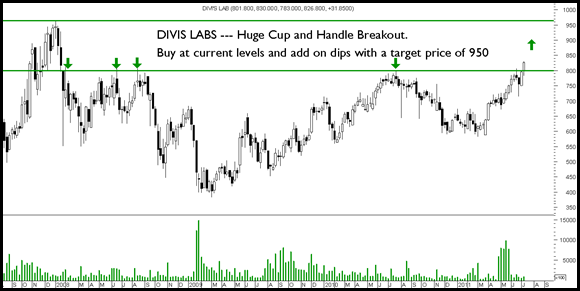 One of the best picks in the education segment and good defensive pick to buy on dips till 55-59 or in momentum above 69 with a target of 80 in medium term. Slow moving stock though. 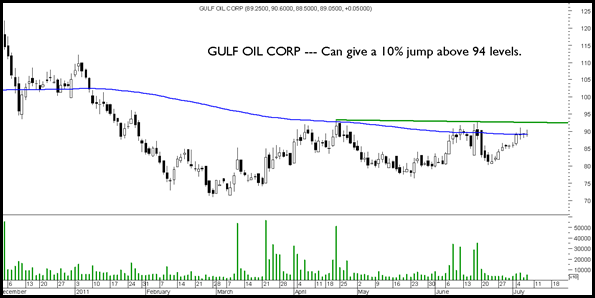 I think 90-110 is a very strong support zone for the stock. hahaha.. too overconfident.. go review your calls.